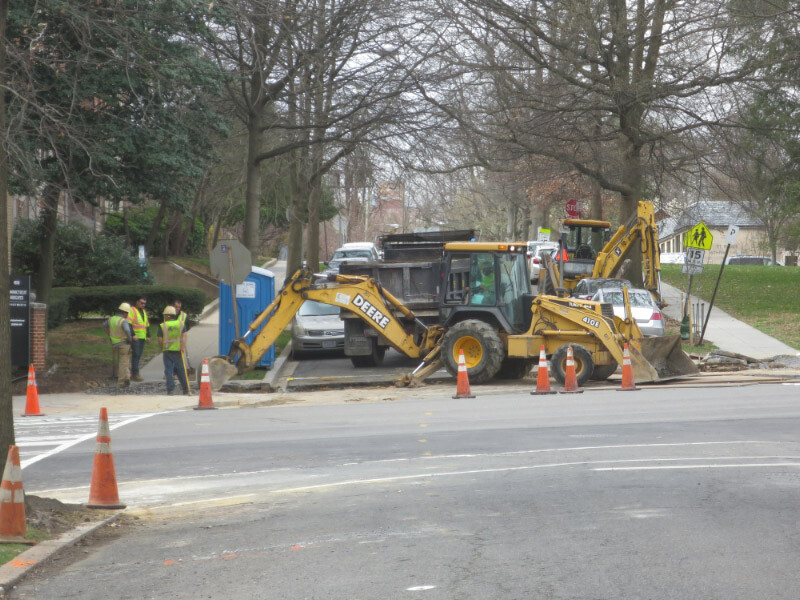 A DDOT contractor is digging holes in sidewalks and digging a trench in the asphalt at the intersection of Connecticut Avenue and Ellicott Streets. Here’s why. 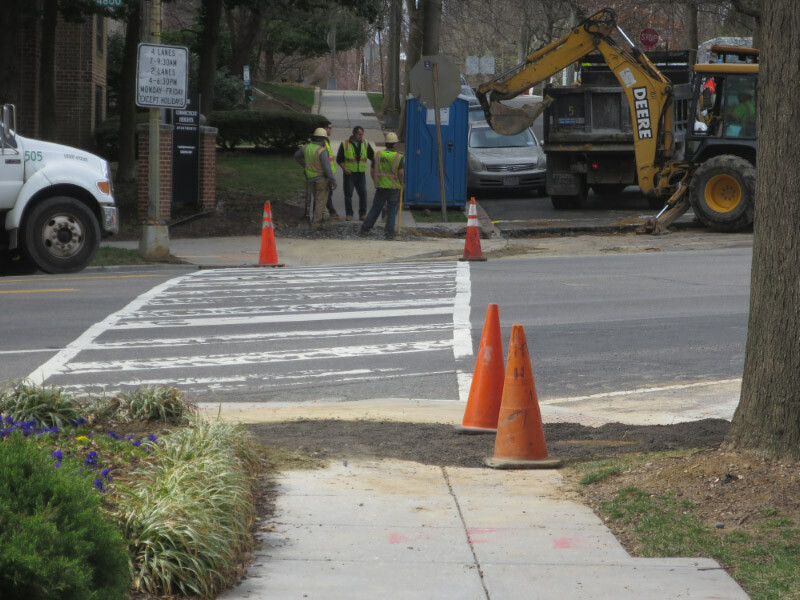 The pedestrian-activated signal promised for this intersection is finally going in. This light is part of the Connecticut Avenue crosswalk project headed by DDOT Pedestrian Coordinator George Branyan. This pedestrian light is called a HAWK signal, and it will operate just like the pedestrian-activated signals in Chevy Chase and Cleveland Park do. The contractor, DC Pavement, hopes to finish digging the holes for poles and the trench in the roadway for cable by the end of next week. The signal will be installed after that. Wasim Raja, DDOT’s traffic signal manager, expects this work to be completed sometime in the summer. Thanks go out to reader Charlie Baker for the tip! A major milestone for pedestrian safety in our neighborhood. A real cause for celebration! A great project, but one gripe – the work crew closed the sidewalk on that side of Connecticut on Friday night without providing any warnings telling people they needed to cross, nor providing any sort of pedestrian accommodation to allow people through the site. Saw several people walking in the road on the right southbound lane…kinda ironic that a project to improve pedestrian safety at the intersection has such little regard for pedestrian safety during construction.